The concept of belts and rank is one that most people associate with Taekwondo and martial arts in general, even if they only have a passing interest in the subject. In Taekwondo, our belts reflect a member’s proven level of competence and (just as importantly) the progression of colors reflects an inner journey that never truly ends. Each belt achieved is an accomplishment worthy of respect. It is also worth noting that achieving a belt isn’t just a matter of “spending enough time” in a previous belt. 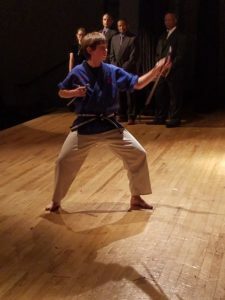 In order to achieve their next rank, a student must demonstrate their proficiency in their current belt’s techniques, including basic moves, sparring, and forms. “Pure and without any knowledge of Taekwondo. As with the Pine Tree, the seed must now be planted and nourished to develop strong roots.” The student does not have any knowledge of Taekwondo and begins with a clean (pure) slate. Purity is often signified by the color white. “The seed is beginning to see the sunlight.” The student begins to understand the basics of Taekwondo. The sun appears to be yellow. “The sun is beginning to rise; this is the first stepping stone to black belt. As with the morning’s dawn, only the beauty of the sunrise is seen rather than the immense power.” The beginner student sees the beauty of the art of Taekwondo; however, they have not yet experienced the power of the technique. Orange is found among the many colors of the sunrise. “The pine tree is beginning to develop and grow in strength.” The student’s technique is developing power. The components of the basic techniques are beginning to work in unison. As the pine tree develops, it sprouts green pine needles. “Coming to the mountain. The tree is in the mid-growth and now the path becomes steep.” Mountains are often depicted as being purple. “The tree reaches for the sky toward new heights.” The student is at the mid-way point. 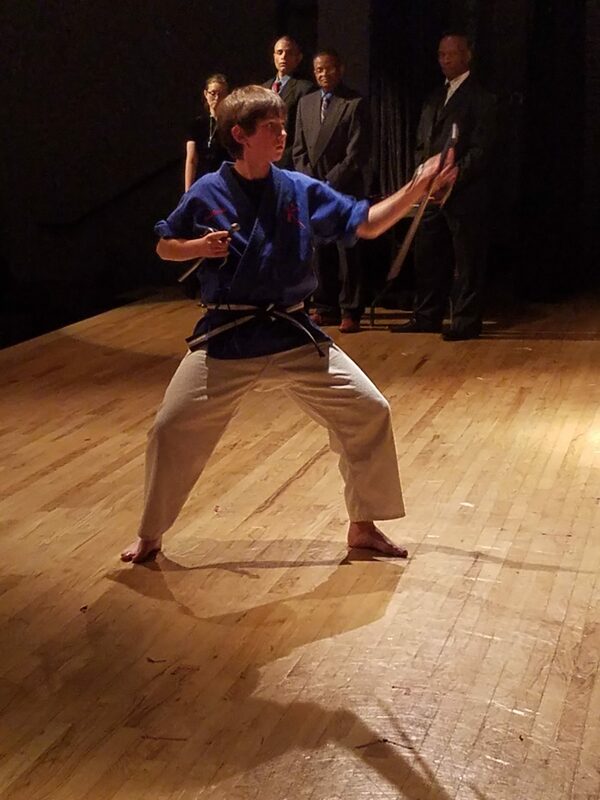 The student focuses his/her energy upward towards black belt. The sky appears as blue. The student has crossed over into a higher level of Taekwondo. The techniques, forms, and level of sparring become more difficult, creating a “mountain” that must be overcome. “The sun is setting. The first phase of growth has been accomplished.” The first day (the period of time from white belt to red belt) of growth is coming to an end. The physical skill has been developed but lacks control; therefore, physical and mental discipline must now be achieved. Variations of red are found among the many colors of the sunset. “The dawn of a new day. The sun breaks through the darkness.” The previous day has ended, giving way to a new dawn. The student must begin a new phase of training; that of being a black belt. The red is the sun (in a sunrise) as it breaks through the black of night. “The tree is firmly rooted in the earth.” At this point the student has mastered the basics and developed deep roots in Taekwondo. Brown is known as an earthy color, such as dirt. “The tree has reached maturity and has overcome the darkness… it must now ‘plant seeds for the future.’” The color black is created when all the colors of the light spectrum have been absorbed into an object. That object has “taken control” of the colors and retained all of them. If one color was to “escape”, the object would no longer be black but would appear as that color. The student has mastered the nine geup (grades) of Taekwondo. He/she has “absorbed” all the knowledge of the ranks and overcome or “mastered” that level or training. The colors of the spectrum are bound together and are not reflected off an object. This results in the absence of color, which we call black.